Prominent & Leading Manufacturer from Chennai, we offer leather usb drive, leather usb drives, leather usb pen drive, power pen drives and leather usb flash drive. 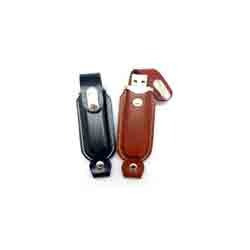 We hold specialization in the supplying and retailing of premium quality Leather USB Drive at nominal market prices. We are counted among the most prominent suppliers and retailers of optimum quality Leather USB Pen Drive to our esteemed clients. These are precisely manufactured from high quality plastic and wood in accordance with the industry laid parameters at our vendor’s end. Offered pen drives come with 8-15 MB/sec reading and 3-6 MB/sec writing speed. These pen drives are appreciated for their compact design, classy look and longer service life. Our organization is instrumental in the supplying and retailing of high quality Power Pen Drives. These pen drives are precisely manufactured in compliance with the industry laid parameters using quality approved alloys at our vendor’s end. Offered pen drives are widely appreciated among the clients for their class look, excellent writing speed and high user interface. 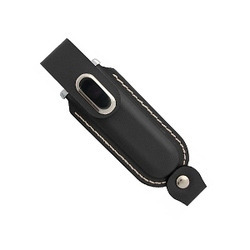 Owing to the rich experience and knowledge of this field, we have been able to offer high grade Leather USB Flash Drive to our valuable customers. Made in accordance with the industry set standards, the offered flash drives are commonly used to store and transfer various forms of data in the most efficient manner. 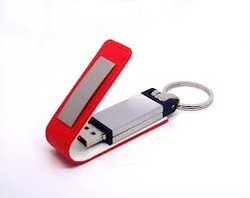 The offered USB flash drives are available in different data storing capacities of 8 GB to 16 GB. Looking for Leather USB Part ?